For many people in New York City, the odds of owning expensive handbags and shoes are much higher than owning a car. Yet, with some of the most sought-after handbags costing as much as an average automobile, there was still no specific insurance to cover them. Recognizing this gap in the market, AIG Private Client Group (a division of American International Group AIG -3.70%, Inc. NYSE: AIG) launched a more specialized insurance solution for couture and designer wearable collections for its high net worth policyholders earlier this month. Here’s how this works: Your items would be individually scheduled on the policy with the option to use blanket coverage for less expensive items. These wearable collections could be anything from couture and ready-to-wear garments, shoes, handbags, to vintage and historic clothing. The usual culprits you could cover with this insurance include floods, moths, and molds that are typically excluded from a homeowners policy. What’s more, it covers custom, work-in-progress couture and shoes, reimbursement for expenses for clients who protect their couture items by removing them from their homes in advance, as well as dry cleaning and wardrobe preparation expenses following a covered loss. 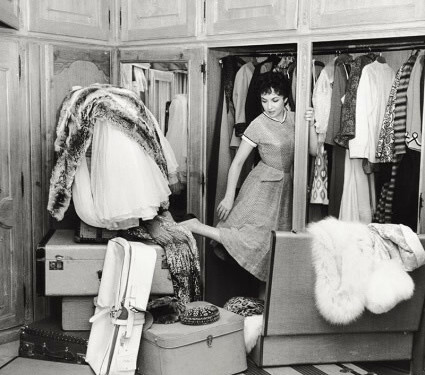 According to Ron Fiamma, Vice President and Global Head of Private Collections for AIG Private Client Group, many of these clients’ wardrobe collections are “investments of passion.” Therefore, in order to safeguard their items effectively, AIG worked with experts at wardrobe storage and preservation service Garde Robe Online, LLC to create a more comprehensive solution. For example, there are in-house collection management specialists available for services such as vulnerability assessments, emergency planning, and referrals to wardrobe preservation specialists. Knowing a fair share of shopaholics who would use any excuse to buy expensive handbags and shoes, I understand the concept of this “passionate” pursuit all too well. Perhaps it’s the size or the implications of the product, but it somehow seems easier to splurge on an expensive handbag than it is to lavish on art or furniture. Before you know it, the value of your closet could easily rival a down payment of a small apartment (depending on where you are of course). So how does this policy cover those hidden rare, vintage and one-of-a-kind pieces, which have over the years become damaged beyond repair? Obviously, the policy would cover the repair cost of a damaged item, according to the insurance expert. But if there is still lost value after all the repair work is done, “there’s a unique feature in this coverage that’s similar to what you can find in Fine Art policies, and it would compensate the client for that lost value as well,” he said.